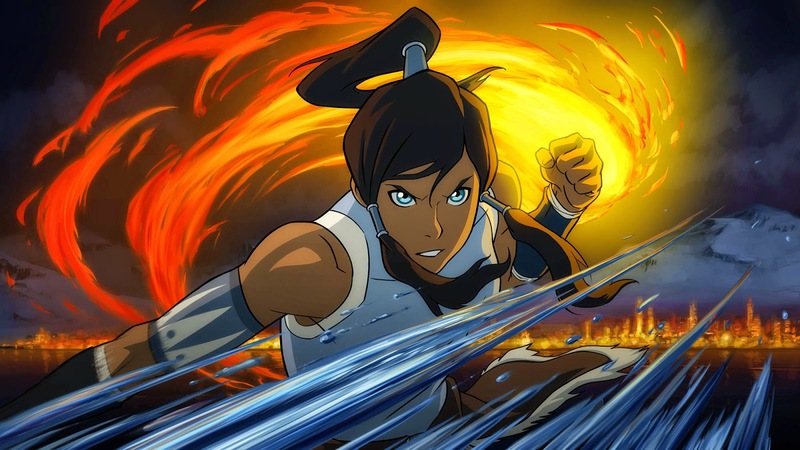 After the odd announcement that The Legend of Korra was taken off the air and would be disturbed digitally, their panel at Comic-Con clarified the confusing by saying the series will stream live online. While the reports I have read did not specifically say where the series will be online this (or next) Friday, I assume Nickelodeon.com will air it. According to the creators, the series' lower TV ratings compared to its strong internet presence is the main reason for the shift. Bryan Konietzko and Michael DiMartino also stated that the transition did not go as smoothly as they would have liked, but it had to be done. From what I understand, the majority of The Legend of Korra's audience is in the teen to young adult range, and a large majority of viewers watch the series on illegally online, so the shift to strictly digital makes a lot of sense for Nick to make more money and for the series' continued success. Since posting about The Legend of Korra's shift to digital last week, I have now seen all of Book 1 of The Last Airbender, as well as most of Book 2. Despite a slow start, I am really enjoying the mythos and fanbase of the series. If there are enough fans of the series, I will write and post my reviews for each Book (season). I already know I have one reader interested, but more Avatar and Korra related could be a area for J and J Production can expand into, providing the audience is there, so please comment and let me know if you are a fan of the franchise. Also be sure to check out the other Comic-Con related post today by clicking here.